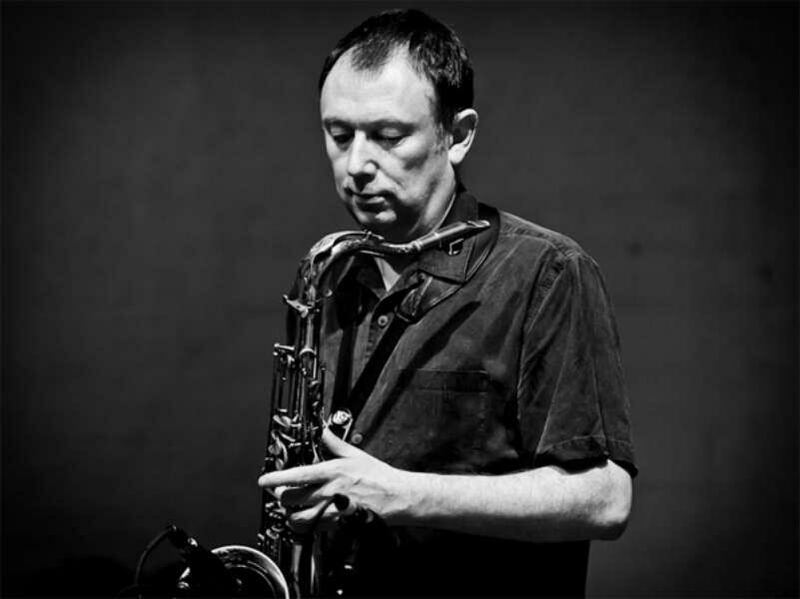 Steve Beresford has been a central figure in the British and international spontaneous music scenes for over forty years, playing piano, electronics and other things with the likes of Derek Bailey, Evan Parker, Han Bennink, John Zorn and Alterations. He has written songs, written for large and small ensembles, and scored short films, feature films, TV shows and commercials. He was part of the editorial teams for ‘Musics’ and ‘Collusion’ magazines, writes about music in various contexts and was a senior lecturer in music at University of Westminster. With Blanca Regina, he is part of ‘Unpredictable Series’, which produces shows, recordings and films in the world of experimental music and art. Steve has often worked with Christian Marclay on various Marclay mixed media pieces. Other people he has worked with include The Slits, Najma Akhtar, Stewart Lee, Ivor Cutler, Prince Far-I, Alan Hacker, Tania Chen, Ray Davies, Mandhira De Saram, The Flying Lizards, The Portsmouth Sinfonia, Rachel Musson and Lore Lixenberg. Beresford has an extensive discography as performer, arranger, composer and producer, and was was awarded a Paul Hamlyn award for composers in 2012. 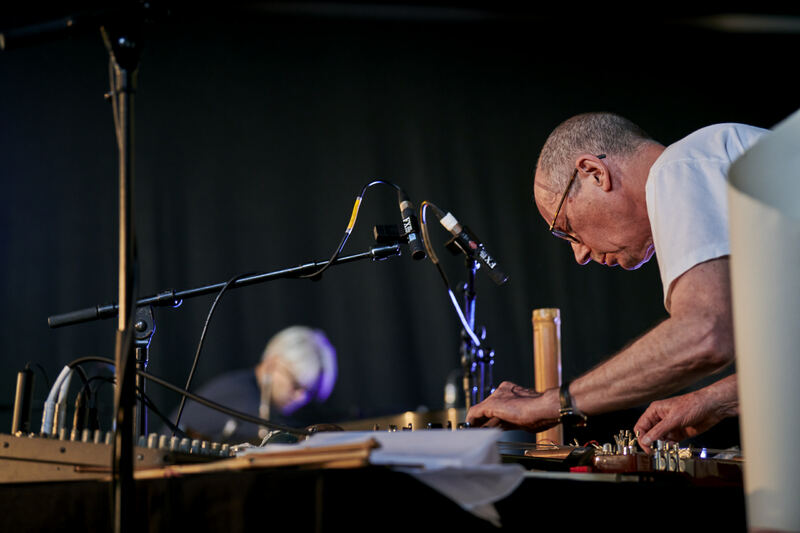 DAVID TOOP has been developing a practice that crosses boundaries of sound, listening, music and materials since 1970. This encompasses improvised music performance, writing, electronic sound, field recording, exhibition curating, sound art installations and opera. It includes seven acclaimed books, including Rap Attack (1984), Ocean of Sound (1995), Sinister Resonance (2010), Into the Maelstrom (2016) and Flutter Echo, a memoir first published in Japan (2017). Briefly a member The Flying Lizards in 1979, he has released thirteen solo albums, including New and Rediscovered Musical Instruments on Brian Eno’s Obscure label (1975), Sound Body on David Sylvian’s label (2006) and Entities Inertias Faint Beings (2016). His 1978 Amazonas recordings of Yanomami shamanism and ritual were released on Sub Rosa as Lost Shadows (2016). In recent years his collaborations include Rie Nakajima, Akio Suzuki, Tania Chen, John Butcher, Ken Ikeda, Elaine Mitchener, Henry Grimes, Sharon Gal, Camille Norment, Sidsel Endresen, Alasdair Roberts, Thurston Moore, Ryuichi Sakamoto and the revived Alterations. BLANCA REGINA is an artist, curator and tutor based in London who is currently involved in creating audiovisual performances, sound works, multimedia installations, photography and book arts. She has been leading audiovisual performance art and projection mapping workshops plus curated events internationally: Unpredictable Series in the U.K, Mademotion in Spain and LED in Mexico. In 2014, she joined the School of Music & Fine Art at the University of Kent. For several years after receiving her PhD in Humanities in Madrid, Spain she was a research fellow at Chelsea College of Art and Design, London (2011-14) Expanded and Ephemera Audiovisual was her first solo exhibition presented in México, 2015. She is interested in the themes of language, identity and archive and is exploring the interplay of image and sound, digital and analogue media. She has created some films and music with artists, including David Toop, Leafcutter John, Steve Beresford, Sharon Gal, Mandhira de Saram, Adriana Camacho and Matthias Kispert. 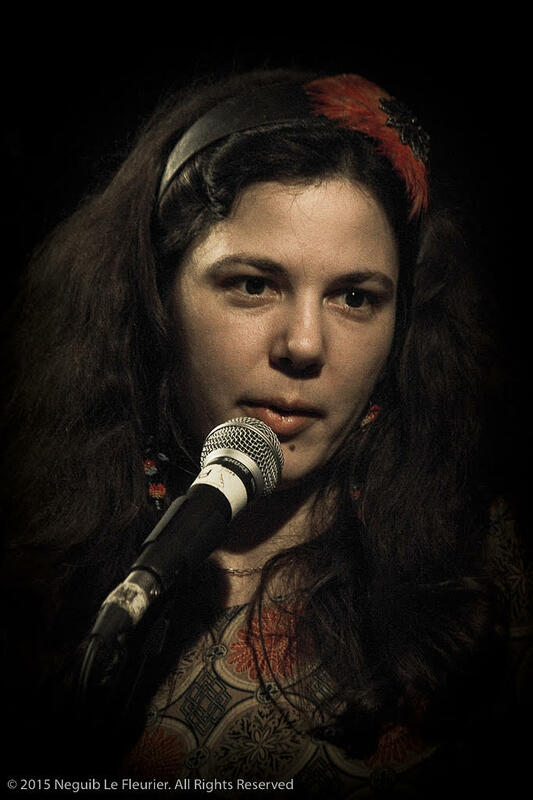 Her work has been supported by Arts Council England, Sound & Music, BMC, Amexcid, Photo-España and Garage Cube. Recently she has been holding a research position at Goldsmiths University London, working with Atau Tanaka at the Immersive Pipeline Project. GINA SOUTHGATE is well known on the London free music and jazz scenes, where she has painted and/or performed live at gigs for 30 years. 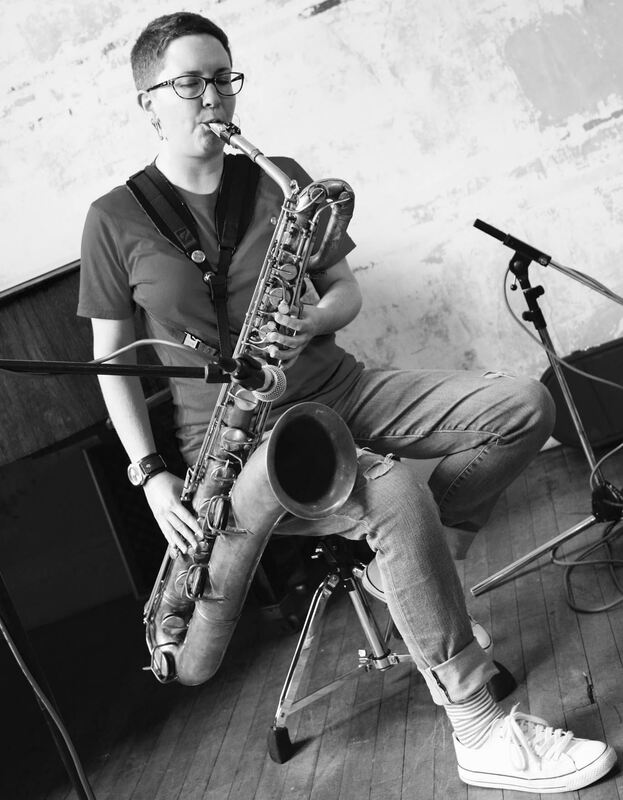 Gina works with the frisson of the music, observing the relationship between the musician and instrument, trying to capture the energy and essence of the gig in real time. She grew up in Essex and did a two year foundation at Southend College of Technology just after the emergence of punk. Her foundation there was a turning point, and she moved to London to do a degree in silversmithing/metalwork at Camberwell School of Art, followed by a postgraduate year in pewter casting. She had her first solo exhibition of gig paintings at London’s Jazz Café in 1988. Her gig imagery is used widely for publicity material and as graphic illustration. Gina has presented numerous exhibitions, has been a metalworker, won design competitions, and taught jewellery and metalwork. 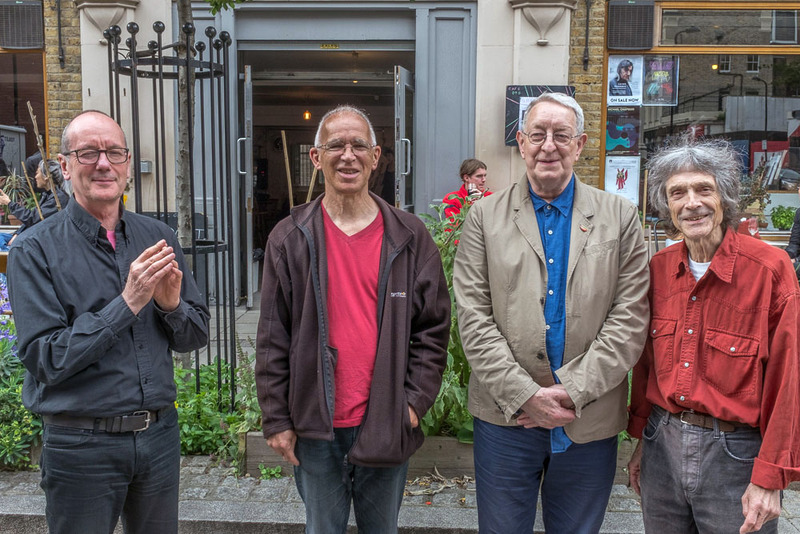 After the success of Alterations Festival in 2016, Alterations (Peter Cusack, David Toop, Terry Day and Steve Beresford) plus guests will be back to perform at Cafe OTO and present workshops some of their archives and artworks at Oto Projects, responding to nature, history and music. Guest artists include John Butcher, Gina Southgate, Pierre Bouvier Patron, Cath Roberts, Max Eastley and Blanca Regina. With installations, artworks and works in progress by Peter Cusack, Terry Day and archives and objects from Steve Beresford, Gina Southgate and Blanca Regina. 7.30pm Open doors at Cafe Oto. 1pm – 3 pm Workshop: Directed free improvisation with Steve Beresford. 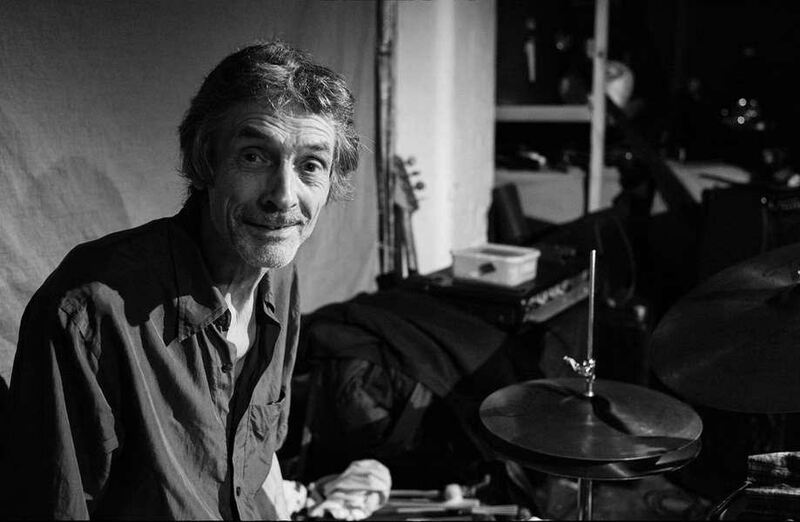 Steve Beresford will be using Butch Morris’s conduction techniques – developed over twenty years by the London Improvisers Orchestra – to create directed free improvisations. Participants are asked to bring their instruments. 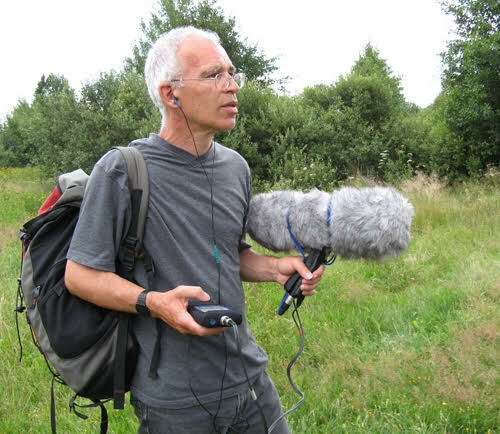 Peter Cusack will share his practices, knowledge and reflections on field recording. During the workshop we will visit the local soundscapes around Dalston. The aim is to listen to what is there and ask how sound in the environment can be interestingly recorded and mapped. We will make audio field recordings but also explore ways of using other media to document what we hear. Bring your sound recording devices. We will also provide some gear. 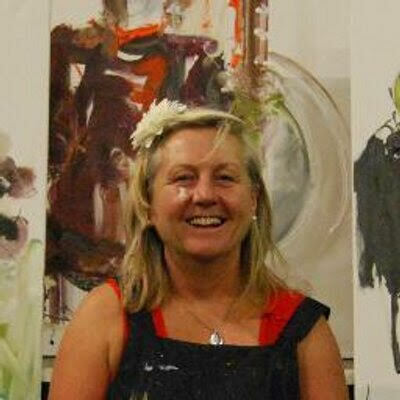 2pm- 5pm Workshop: ‘Painting Music’ with Gina Southgate, with music selector Steve Beresford. Tickets £35 presale/ £40 otd Materials included. Gina will be leading the workshop, showing a number of painting techniques to respond to music. Steve Beresford will be part of the session as music selector playing some of his favourite tracks. TERRY DAY is an improviser, multi-instrumentalist, lyricist, song writer, visual artist and poet. He is a pioneer improviser from the 1960s, a self-taught musician in a family of musicians, who began improvising on the drums with his brother in 1955. In the early 1960s he formed the Hardy Holman Day trio, focussing on free improvisation. Later he became part of Kilburn & the Highroads, a band led by Ian Dury. Sharing their interest in visual art and painting, Terry and Ian both studied at Walthamstow School of Art and later at the Royal College of Art, London. As an art student in the 1960s he was a pioneer of improvisation, free jazz & experimental music. PETER CUSACK is a field recordist, musician and sound artist with a long interest in the sound environment. He initiated the Favourite Sounds Project, to discover what people find positive about their everyday sound environment, and Sounds from Dangerous Places (sonic journalism) that investigates sites of major environmental damage such as the Caspian Sea oil fields and the Chernobyl exclusion zone. He produced Vermilion Sounds – the environmental sound programme – for ResonanceFM radio, and is a research fellow at the University of the Arts, London. Peter was DAAD artist-in-residence in Berlin 2011/12, initiating Berlin Sonic Places, examining relationships between soundscape and urban development. Musical collaborators include Alterations, Clive Bell, Tomomi Adachi, Max Eastley, Nic Collins, and Viv Corringham. His activities take him far afield and he has done work in Austria, Canada, Turkey, Beijing, Azerbaijan, Siberia, China’s most western province, Xinjiang and France. He also spent 2 years at the STEIM studio in Amsterdam. JOHN BUTCHER plays tenor and soprano saxophones. His music ranges through improvisation, his own compositions, multi-tracked pieces and explorations with feedback and unusual acoustics. 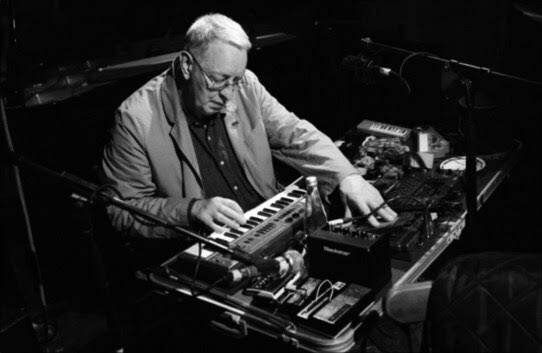 Since the early ’80s he has collaborated with hundreds of musicians – including Derek Bailey, Rhodri Davies, Andy Moor, Steve Beresford, Eddie Prevost, Christian Marclay, John Stevens’ SME, Gino Robair, Polwechsel, Mark Sanders and Okkyung Lee. Alongside long-term projects he values occasional encounters: from large groups such as the EX Orkestra & Butch Morris’ ‘London Skyscraper’ to duos with Fred Frith, Akio Suzuki, Keiji Haino, David Toop, Otomo Yoshihide, Sophie Agnel and Matthew Shipp. Compositions include Penny Wands, for Futurist Intonarumori, and Tarab Cuts, which was shortlisted for a British Composer’s Award. He is well known as a saxophonist who attempts to engage with the uniqueness of time and place. The Resonant Spaces CD is a collection of site-specific performances recorded during a tour of unusual locations in Scotland and the Orkney Islands. Max Eastley is a visual and sound artist, a sculptor (kinetic), musician and composer. Eastley has collaborated with many different artists and musicians on performances, installations and recordings including: David Toop, Brian Eno, Paul Burwell, Victor gama, Hugh Davies, Steve Beresford, Peter Greenaway, Dave Hunt, David Buckland, Evan Parker, Peter Cusack, Spaceheads. 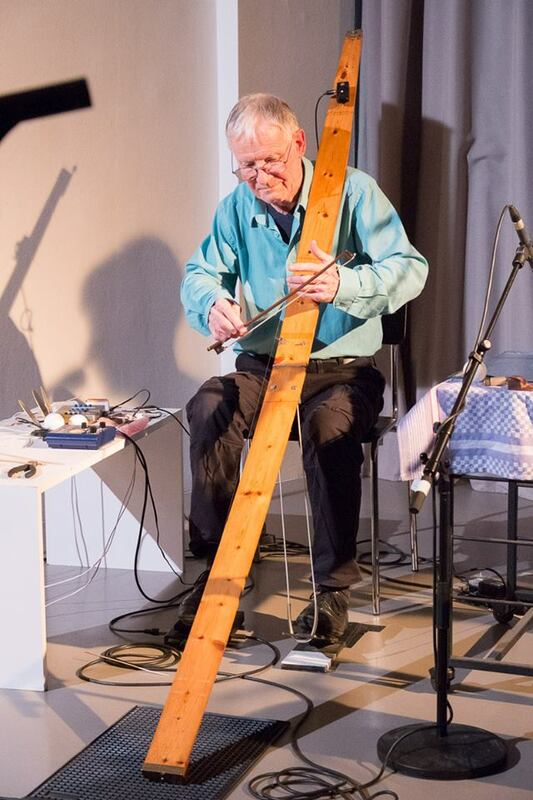 His primary instrument is a the Arc, a unique electro-acoustic monochord, developed from an aeolian sculpture, consisting of a single string stretched lengthwise across a long piece of wood which can be played with a bow, fingers or short glass rods. The end of the instrument has a microphone attached so the basic sound can be processed and amplified. From 2001–2002, Eastley was a visiting fellow at John Moores University Liverpool and is currently (2010 onwards) an AHRC research fellow at Oxford Brookes University researching Aeolian phenomena.